These are heavy and ship by weight. Note: Generators require freight shipment. Life gate and home delivery charges may apply. 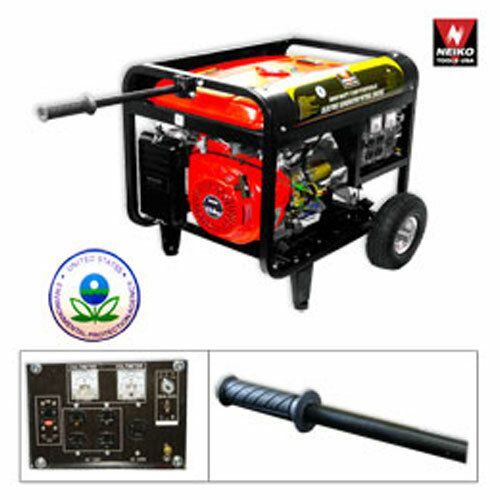 EPA approved gas engine type OHV forced air cooled, 4-stroke engine, 120 volt 60Hz & 240 volt UL grounded receptacles. 2 outlets. Industrial 5.5 gallon extended run fuel tank with fuel gauge. Delivers 8000 watts surge, 6500 watts continuous. Continuous operation 9 hours at 1/2 load power. Note: Generators require freight shipment. Life gate and home delivery charges may apply. We will contact you after you have placed your order with prices for approval. 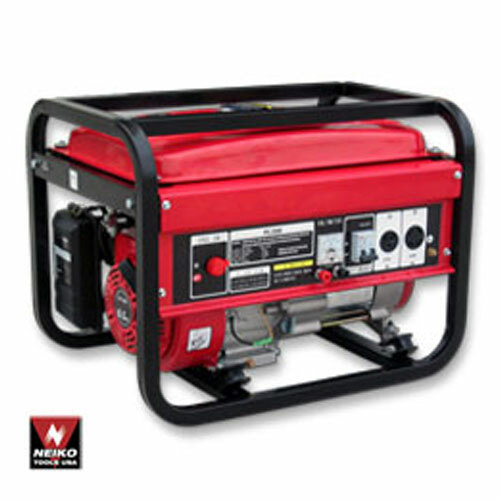 EPA approved gas engine type OHV forced air cooled, 4-stroke engine, 120 volt 60Hz & 240 volt UL grounded receptacles. 2 outlets. Industrial 5.5 gallon extended run fuel tank with fuel gauge. Delivers 8000 watts surge, 6500 watts continuous. Continuous operation 9 hours at 1/2 load power. – Note: Generators require freight shipment. Life gate and home delivery charges may apply.